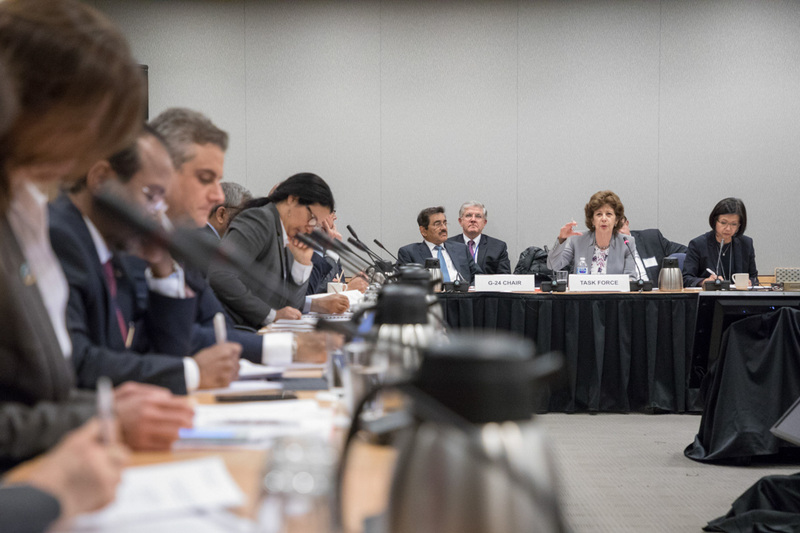 Joint G-24/Center for Global Development Roundtable on the Implications of Basel III Reforms in Emerging Markets - APRIL 18, 2018 - IMF Washington, DC. Following the global financial crisis that started in 2008, international standard-setting bodies - especially in Europe - under the leadership of the G-20, set up a comprehensive reform agenda for improving the regulatory framework governing the activities of banks and other financial institutions. From these, recommendations by the Basel Committee on Banking Supervision (BCBS) under Basel III stand out due to the wide-ranging scope of the proposed regulatory reforms, including capital and liquidity requirements and limits on leverage and specific regulatory treatment for financial institutions that, due to their size, complexity of operations and interconnections with other institutions, can pose greater risks to the entire financial system. Implications for the volume, volatility, and composition of capital inflows to EMDEs derived from the adoption of Basel III in advanced economies. Problems for financial stability and a leveled playing field for financial institutions resulting from the operation of subsidiaries of global banks in EMDEs. Challenges posed by the implementation of Basel III in EMDEs on the achievement of key economic and financial goals, including the development of local financial and capital markets, improvements in access to finance by small and medium-size enterprises, and the stability of domestic financial systems. To illustrate, Basel III may have both indirect and direct costs for EMDEs. The former may manifest through negative spillover effects from the implementation of Basel III in advanced countries, even for those EMDEs who do not adopt the Basel III standards. Specifically, the standards might affect cross-border lending from advanced countries to EMDEs, especially in infrastructure finance. Similarly, the implementation of Basel III in advanced countries might affect the incentives for lending and investment in EMDEs by subsidiaries of advanced countries’ banks. Direct costs, on the other hand, may arise from the implementation of Basel III in EMDEs themselves. Since the Basel III recommendations were initially designed with large, internationally-active banks in mind, they might not meet EMDEs’ stability needs given different sources of fragility and lower effectiveness of the proposed tools and policies. The standards might even have unintended consequences for local banks’ lending, including SME finance, a segment with few alternative financing sources, and the development of capital markets in EMDEs. In a forthcoming report, the CGD Working Group will provide an assessment of these issues and advance recommendations to EMDEs’ regulators and standard-setting bodies to address them. The specific recommendations aim to maximize the stability-enhancing effect of Basel III in EMDEs, while containing any negative effects on financial development, inclusion and efficiency. The Working Group is led by CGD senior fellow Liliana Rojas-Suarez with Thorsten Beck, professor of banking and finance at Cass Business School in London, as co-chair. The Working Group comprises leading experts from around the world with deep knowledge of Basel III, financial stability and economic development. 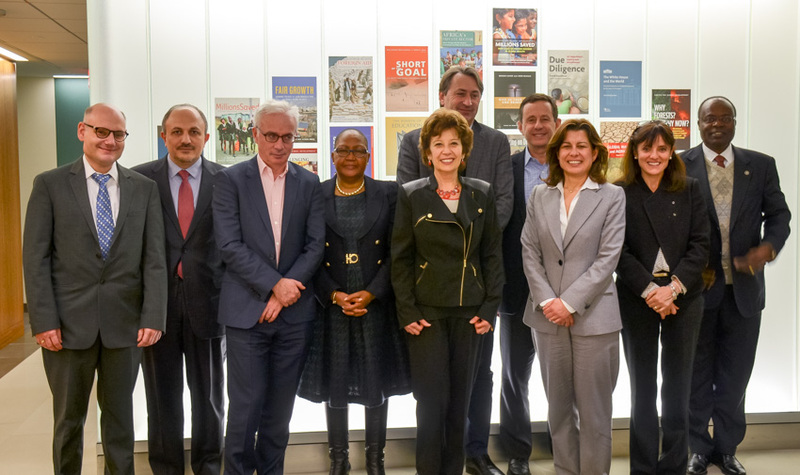 Basel III Working Group members pose after the first working group meeting. Senior Fellow and Director of the Latin America Initiative, Center for Global Development.